if atmospheric pressure changes in weather. The Variometer sensor also can output the Altitude Rate via DA port. Altitude Rate formula: (Output DA Voltage - C1.65)/1.65= Altitude Rate speed/10.24. 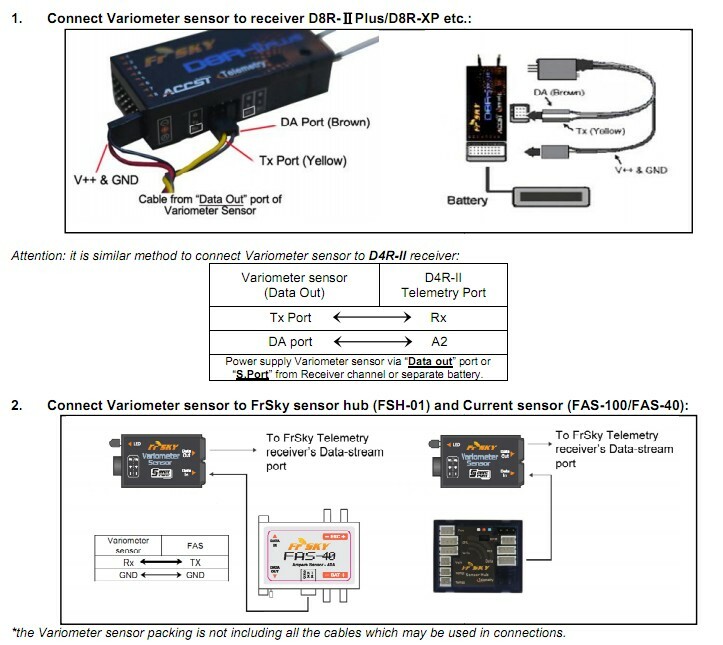 There are two versions for the variometer sensors, one is normal precision, another is high precision. This is the high precision version.